Do you want to start your own start-up? Are you interested in Design Thinking and do you want to apply it to your very own business case? Let us provide you with all the tools and network you need! 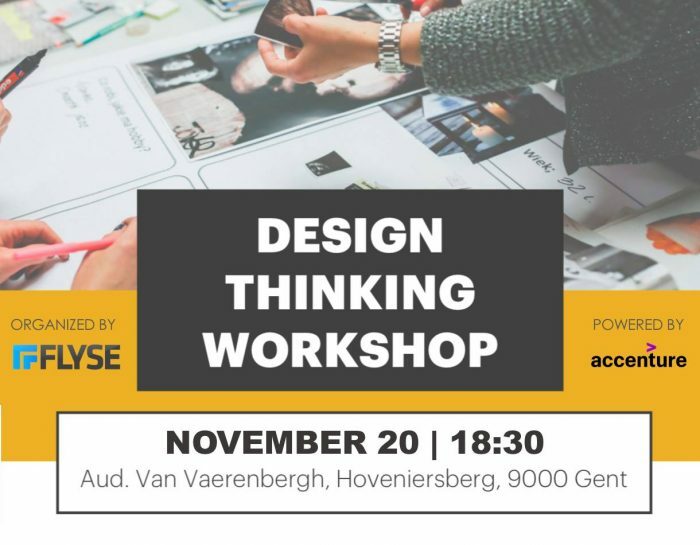 FLYSE and Accenture would like to invite you to our Design Thinking Workshop event on Tuesday, November 20, 2018. This evening event will consist of a Design Thinking Workshop and plenty of opportunity to expand your network over drinks afterwards. Don’t miss this chance to shape your future and discover FLYSE and Accenture! Subscriptions are open to students from all (educational) backgrounds.